Seven will broadcast the X Games, showcasing Skateboard, BMX and Moto X events, staged across 19 – 21 October 2018 in Sydney’s Olympic Park. Produced by Seven West Media, it will comprise competitions across multiple disciplines (e.g. Big Air, Street, Freestyle, etc.) and demo e-sports. Kurt Burnette, Seven’s Chief Revenue Officer, said: “We are proud to be bringing the X Games to Australia. We have a terrific relationship with ESPN and we look forward to working with them to deliver an outstanding event. “Our commitment to the X Games underlines our leadership in sports and provides a clear indication of the future development of our rapidly expanding moves into the staging of major live events. We will be powered by the scale of Seven West Media and ESPN audiences across all platforms and devices. Music, art and an “X Fest” festival activation, which have become features of the events globally will also bring Sydney’s Olympic Park to life. 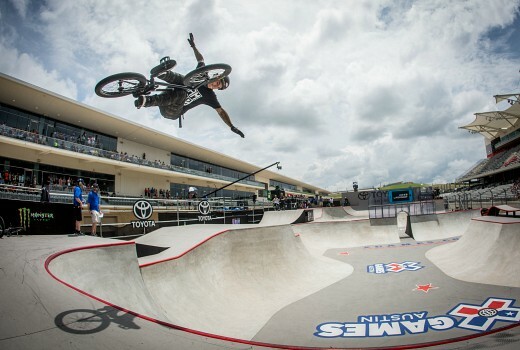 X Games began in 1995 in Newport, Rhode Island, and over its 20 – year history has grown to become the most attended, prestigious and widely – distributed event of its type. There are currently three events annually: a summer event in Minneapolis, a winter event in Aspen, and a mixed summer/winter event in Norway. It is among the largest festivals in the US with the most recent X Games in Minneapolis, Minnesota attracting 110,000 people over four days. The City of Minneapolis, Minnesota Sports Facility Authority (MMSFA), SMG and Meet Minneapolis and the truly impressive new, state – of – the – art U.S. Bank Stadium provided an extraordinary opportunity to grow the X Games in a new region of the US and in a city that’s quickly becoming recognized as a premier sports and entertainment destination Sixteen Australian athletes were invited to compete in the Minneapolis event and X Games Sydney is expected to attract up to 68,000++ people, celebrating the passion and achievements of young Australians in this arena. The X Games is one of the most significant and authentic youth brands in the world, and the opportunity to produce and broadcast an X Games event aligns perfectly with that strategy, and with Seven West Media’s company vision to deliver engagement and value through powerful storytelling. A major attraction is the abundance of Australian athlete stories to tell and the existing awareness and respect for the event among our target demographic. The full schedule of X Games Sydney 2018 events will be announced soon. enjoy watching the X-Games, but I’m terrified at the potential “try-hards” Ch7 will employ to cover this. Somehow I think the partnership seven has with ESPN is part of something bigger they are planing. 7ESPN channel?? I doubt any station would be brave enough to do a 24 hour sports channel after one but seven do seem to have have a lot of content for it.